Manifesting Prosperity eBook | Books – Store – Tammi B. Ph.D.
Are you tired of struggling financially and doing things you don't want for money? Are you ready to step into your authentic power, potential and prosperity? Then Manifesting Prosperity From the Inside Out was written for you! Personal, inspiring, practical and powerful, I am confident this book can help anyone who is really ready to claim greater prosperity! I LOVE THIS BOOK! 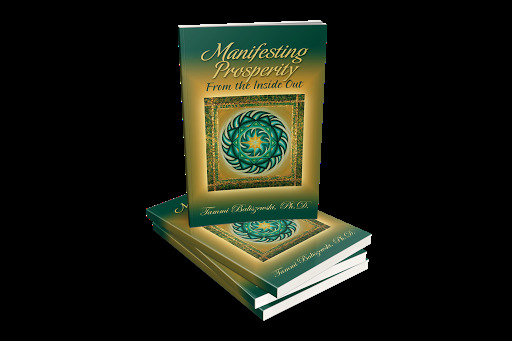 As I read Manifesting Prosperity I experienced so many revelations, epiphanies and aha's. The exercises helped me to rewire and now my relationship with money and me has been completely transformed. Thanks to this material I am now living my purpose and making more money than ever! Thank you Dr. Tammi! I had everything I could want -- except cash. Manifesting Prosperity helped me understand my value, clear my limiting beliefs, and heal my issues around money. I attribute my new-found prosperity to the information, anecdotes and exercises in this powerful and comprehensive guide to abundance.